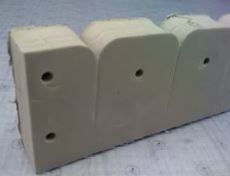 Custom Foam Parts, a division of Amaron Industries, LLC. can design and fabricate any custom foam parts you desire. When protecting your product against impact and shock, look no further than Custom Foam Parts for Commercial and Industrial custom foam. Our innovative concepts ensure functional prototypes and cost-effective packaging solutions to protect your investment. As the leader in custom foam part fabrication, we apply revolutionary technology to mold high quality superficial products to your specific needs. The box is our only limit, and we can also help you do product packaging design for a package that suits your product and your custom foam parts. Whatever your needs, we can design it to your specifications. Get in touch with Custom Foam Parts today for all your custom foam parts requirements. Our design team is standing by to guide you through the process.